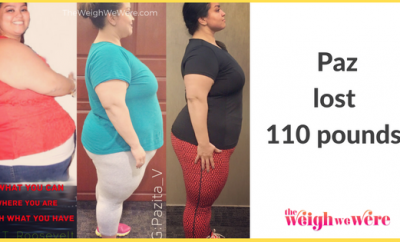 How I gained it: I love food — fast food, junk food, dining out. I never paid much attention to what I was eating, and I worked too many hours to exercise — or so I thought. Breaking point: I was on a week-long vacation in Charlotte and Atlanta visiting family and friends. I stopped by my company’s headquarters in Charlotte and met a few co-workers I had never met before. I do not remember who it was, but someone stated that I was much larger in person than he’d imagined. I returned from vacation and jumped on the scale, and I realized I was weighing in at 288 pounds — just 12 pounds away from 300! In a panic, I turned to the Internet to find healthy recipes. 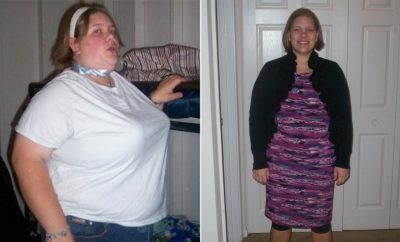 How I lost it: I knew there was no quick and easy solution to losing weight, no magic pills or magic juice. I had tried a couple of different weight-loss programs in the past with some success, but I have always gone back to my old habits. However, one of the most important pieces of advice I had received in the past was to set small goals and reward myself whenever I reached them. 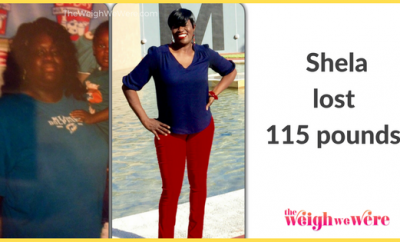 The key to my weight loss was to find foods I enjoyed eating and that were easy to make at home. I spent hours browsing the Internet, looking for recipes, and I stumbled upon That’s Fit and EatingWell.com. That’s Fit provided a ton of advice, and EatingWell provided thousands of free recipes that were easy to make and taste great. 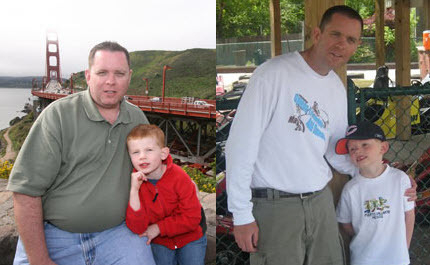 In early July 2008, I started a 2,000 calorie daily diet and joined a gym. 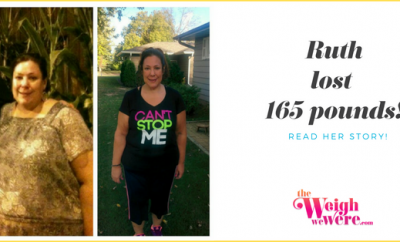 I started off using the elliptical machine 15 to 20 minutes a day, and as the weight started to come off, I moved on to other activities, including spin class, running and soccer. I have just completed my first half marathon, and I am now training with a group for the Chicago Marathon in October. I also plan on running theNew York(November) andMemphis(December) marathons this year. Crazy! I have also completed three duathlons and a handful of 5Ks and 10Ks over the last eight months. As a reward for each goal, I might treat myself to Ben & Jerry’s, dine out at my favorite restaurant or buy myself something expensive. My ultimate goal is to complete each of the marathons and see my 6-year-old son cheer for me as I cross the finish line — that’s the biggest reward I could ask for. Scott has maintained his weight loss for 13 months. He hopes to lose another 10 pounds.